Why Facebook Wants to Sell Smart Displays? Attention and Agency. This past week brought new rumors about Facebook’s plans for a smart display product and assistant to compete with Amazon..
Cathy Pearl is best known as the author of Designing Voice User Interfaces published by O’Reilly Media. She is currently..
Microsoft Cortana is often overlooked when voice assistants are discussed. However, a few minutes using Cortana shows it is a.. Essential is the new smartphone startup by Android OS inventor Andy Rubin. It is now offering an Amazon exclusive Halo..
Last month, it was reported that Facebook was working on an Echo Show competitor called Portal. This week a new..
Bloomberg is reporting that TechInsights estimates Apple HomePod manufacturing costs add up to $216. That translates into a 38% margin..
Amazon has released a new Alexa Skills Kit developer console beta that is designed to streamline the developer console. It..
A new warning has surfaced for Apple HomePod Owners. The silicone based can stain wooden furniture. This first surfaced through.. The Smart Voice Summit, “Europe’s First Voice Assistant Event” was held earlier this month in Paris, France. 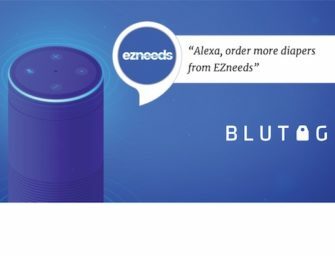 Hosted by Smartly.ai,..
Amazon Echo, Echo Dot and Echo Plus are now available to everyone in India. Echo products started shipping in India..